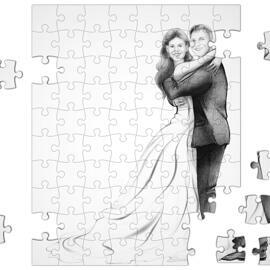 Get a beautiful Wedding Sketch Drawing, hand-drawn in black and white, pencils style for beauty and simplicity. 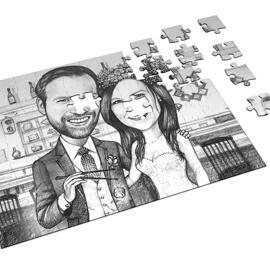 One of our professional caricaturists will create Wedding Drawing in monochrome (b&w) from uploaded photos. 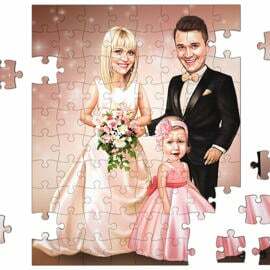 You will be able to use the Drawing for a perfect Wedding Gift, Wedding Invitation or a Romantic Gift to your loved one. 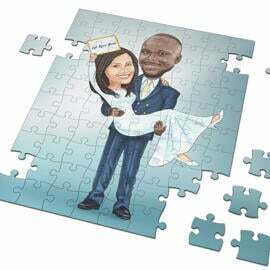 You can be sure that this small Wedding Sketch, hand-drawn in a funny way, will be kept way for a long time by both of you and your guests. 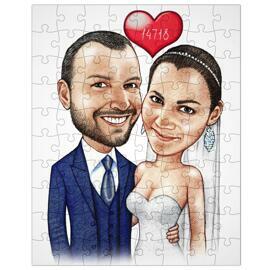 Such an original Caricature Drawing will be serve anyone as a pleasant reminder of Wedding's Day. 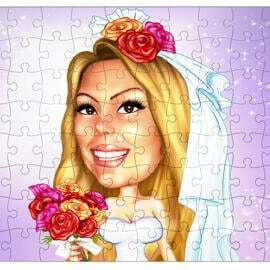 Your Wedding Caricature will be delivered as Digital File of 4000px resolution as 300 dpi to your email. 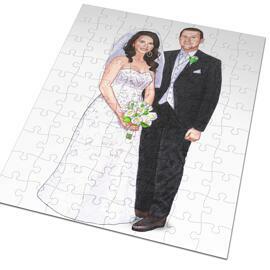 Additional available deliveries: Wedding Pencils Sketch printed on Canvas or Photo Paper.